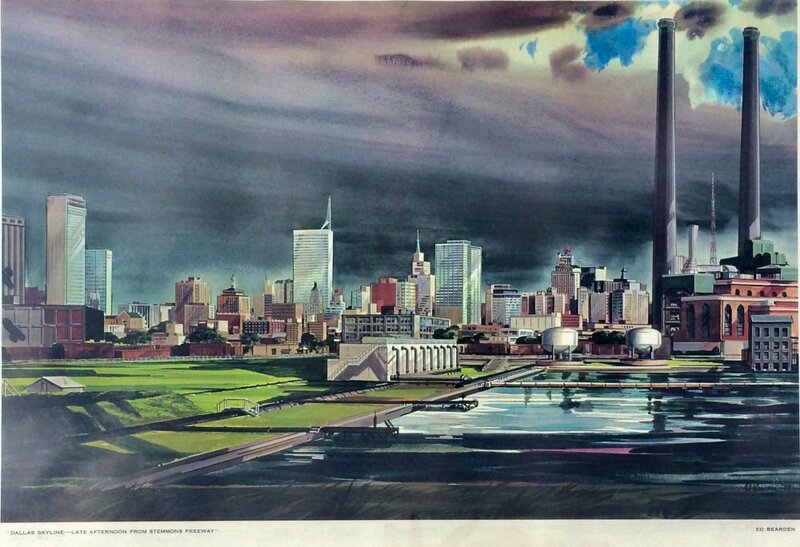 As Thanksgiving approaches, a nice cozy and nostalgic rendering of our city’s skyline seems to be in order. See this image much larger at my original post “‘Dallas Skyline’ by Ed Bearden — 1958” here. I love that! I think I’ll use that in a future post. Thanks!! I have an Ed Bearden drawing of Love Field in 1962 on my bedrooom wall. A professor at UT Southwestern retired and left it behind. It’s one of my favorite possessions.